Listing your strengths, weaknesses, opportunities, and threats will help you envision potential interview questions and how to answer them. Prior to attending a job interview, it is important to review the organization, anticipate questions that may be asked, and understand yourself in relation to other job candidates. One way to analyze yourself and prepare for this important meeting is to conduct a SWOT analysis on yourself. 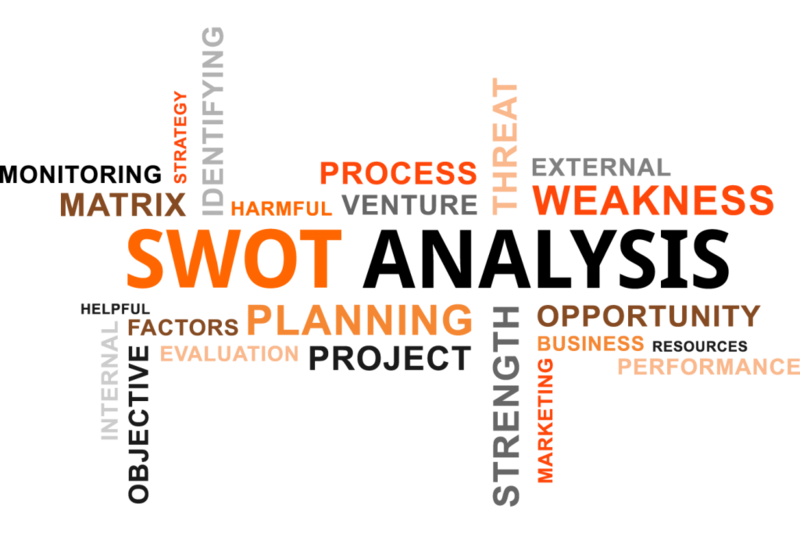 In the business world, SWOT analyses are commonplace. A SWOT (strengths, weaknesses, opportunities, and threats) analysis is a fairly simple way to understand where your organization ranks within the marketplace. A SWOT analysis is also a way to discover how you rank in comparison to the job competition. Listing your strengths can be a fun and rewarding experience. This area may include items such as being organized, dedicated to the workplace, technology-savvy, and excellent customer service skills. Try to discover those strengths that are not commonplace and may set you apart from other job candidates. Instead, it may be more appropriate to say, “I recognize that I am not the most organized person. To remedy this, I have begun utilizing lists, keep a calendar in my smart phone, and double-check my schedule throughout the day.” This shows the potential employer that you recognize a weakness and are striving to change it. The opportunities section of the SWOT analysis correlates well with how you wish to improve yourself into the future. Think of your future goals, such as additional education, attending workshops, and gaining life experiences. Employers want to know that you have aspirations and a guideline for your future working career. Interviewers may ask, “Where do you see yourself in five years?” Be prepared to answer this question and have a plan to discuss with the interviewer. The last section of the SWOT analysis, threats, concerns how you compare to the other job seekers. Develop an answer to the question, “Why should I hire you over the other 25 people that applied for this position?” Understanding your competitive advantage and how you can outshine the competition is the key to answering the threats of others.